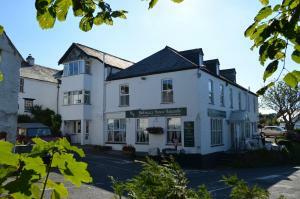 Below is a comprehensive list of hotels in Boscastle. Use the sort links to refine your search or to find featured accommodation in Boscastle. Many of our hotels in Boscastle feature no booking fees and best price guarantee when booked through the Pictures of England website. To list your hotel in Boscastle, click here. Featuring a barbecue, Glenview is a holiday home set in Boscastle. The property features views of the garden and is 41 km from Newquay. There is a di..
On the north Cornwall coast, between Tintagel and Bude, Bottreaux House Boscastle offers attractive en suite rooms and a full breakfast menu. In a pre..
Pentargon View is a holiday home is set in Boscastle and is 41 km from Newquay. The property is 24 km from Padstow and free private parking is provide..
Ivy Cottage is a holiday home set in Boscastle, 41 km from Newquay. It provides free private parking. There is a dining area and a kitchen. A TV is p..
Kiddlewinks is a holiday home situated in Boscastle in the Cornwall Region and is 41 km from Newquay. The property boasts views of the city and is 24 ..
Set in a quaint 16th-century building alongside the River Valency, The Riverside is a 5-star silver award guest house. It offers free Wi-Fi and an awa.. Located at the top of the historic fishing harbour, Boscastle House offers accommodation in Boscastle. Free private parking is available on site and g..
Offering a terrace and views of the garden, The Old Coach House is located in Boscastle, 41 km from Newquay. Free WiFi is offered throughout the prope..
Beautiful wildlife surrounds this 5-star gold-award Georgian bed and breakfast, which is located on a peaceful country lane. Boscastle’s harbour can..
Lower Meadows House is situated in Boscastle, 41 km from Newquay. Free WiFi is available and free private parking is available on site. 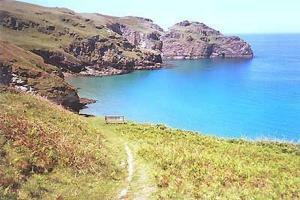 All rooms com..
Set in Boscastle in the Cornwall Region, this holiday home is 40 km from Newquay. The property is 23 km from Padstow and free private parking is provi..
Mariners Cottage is a holiday home set in Boscastle in the Cornwall Region and is 40 km from Newquay. The unit is 23 km from Padstow. 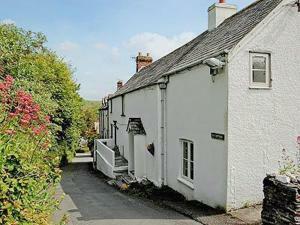 There is a dini..
Cobblers Cottage is a holiday home located in Boscastle, 41 km from Newquay. It provides free private parking. An oven, a toaster and a refrigerator .. Featuring a barbecue, Trerose is a holiday home set in Boscastle in the Cornwall Region. The property is 40 km from Newquay and boasts views of the ga..
Penrose is a holiday home with a garden, situated in Boscastle. The property is 40 km from Newquay and free private parking is provided. A dishwasher..
Polrose is a holiday home set in Boscastle, 40 km from Newquay. 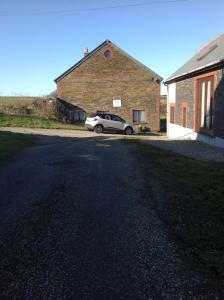 The property is 23 km from Padstow and free private parking is provided. A dishwasher.. Featuring free WiFi throughout the property, Two Hoots is a holiday home, located in Boscastle. The unit is 40 km from Newquay. There is a dining are..
Tremorla is a holiday home with a garden, located in Boscastle. The property features views of the garden and is 39 km from Newquay. The kitchen is f..
Reddivallen Farmhouse offers accommodation in Boscastle. Guests can enjoy the on-site bar. Free private parking is available on site. Rooms are equip..
Tregatherall Lodge is located in Boscastle, 40 km from Newquay and 23 km from Padstow. Free private parking is available on site. A flat-screen TV, a..